Check out the photos of two days in Warsaw on my visual diary. I like the redhead! Looks very cool. the last one is quite eye-catching. LOVE the first and third picture . the vest in the third picture is gorgeous . today is dislike dislike dislike. The guy at the top looks like Percy from the green mile. same face. 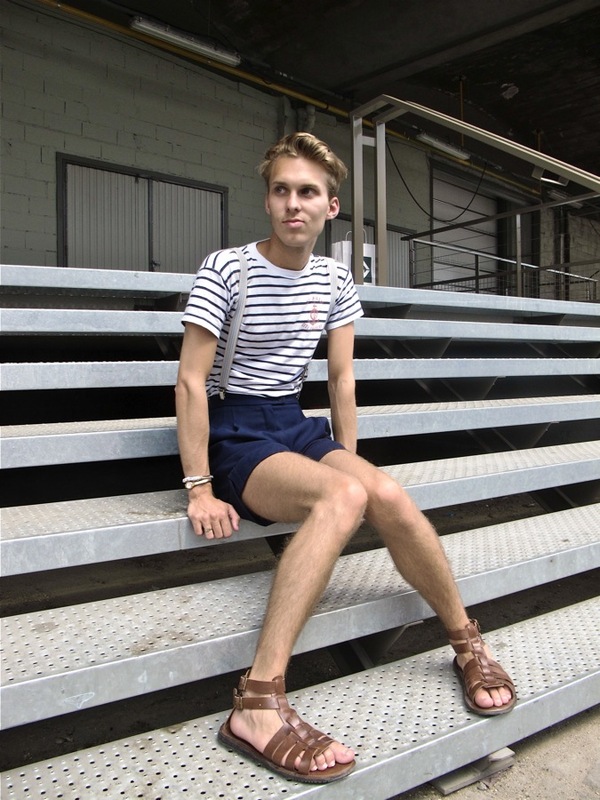 omg i wear the first outfit with sandals last week in frankfurt. What a coincidence! But my favorite are the shoes and sandals, it feels so comfy and can blend in different wardrobes. Cheers to Fashion Week ! What are those kind of shoes of the bottom picture? Kinda look like oversized boots, but still match the outfit, crazy enough? I just like the shoes of the first man, but I wouldn’t wear it with the same outfit! beautiful images and thanks for sharing. the sneakers at the last picture are rick owens. is it me or they look oversized compared to his body? The last guy is trying way too hard but it made me laugh so i suppose hes good for something haha.